This page shows the latest licensing agreements news and features for those working in and with pharma, biotech and healthcare. Licensing. Also of relevance to the pharmaceutical sector is the impact of Brexit on IP licensing. 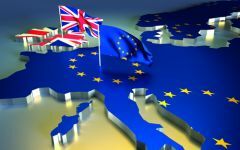 ... Future licence agreements should be drafted to specifically address the effect of Brexit on any relevant provisions. The group handles preclinical and clinical development and establishes partnerships with the pharmaceutical industry via codevelopment or out-licensing agreements. We will be very active in building partnerships and licensing agreements. Others, such as Roche, are partnering with local manufacturers under out-licensing agreements. ... The government has issued high-profile proposals around compulsory licensing and price-capping.